Autumn has just begun. Things here have cooled down just a little bit, perhaps most noticeable at night, not so much during the day. It’s time to think about what you need for cooler, perhaps even seriously cold weather, depending on where you live. 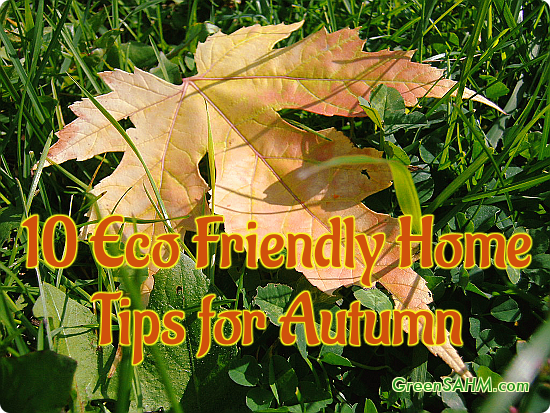 Here are a few eco friendly home tips to get you going this autumn. 1. Heat your body, not your house. When possible, focus on keeping your body warm, not the entire house. Wear warm clothes and use blankets to keep warm, rather than heat your house overmuch. This allows you to set your thermostat to a cooler temperature, and therefore use less power to heat your home. It also makes getting outside more comfortable, as you aren’t going from a significantly heated home to whatever temperature is outside. Of course, in many places some heating of your home is necessary. Don’t freeze yourself or your family. Just think about what temperature range you can stand if you dress more warmly. A setting of 68 degrees on your thermostat is quite reasonable in many homes. Just because you want to minimize its use doesn’t mean you shouldn’t maintain your furnace. Make sure it’s in good condition, with dust cleaned out so that it runs efficiently and safely. Check your filters too – they should be replaced regularly. 3. Take advantage of natural heating. During much of fall, the sun’s rays are still strong enough that you can open your curtains or blinds on the sunny side of the house and bring in some warmth. On really cold days you may be better off blocking your windows, but if you can feel the sun’s warmth coming in, let it in. If you have and use your chimney, get it checked now before the temptation to have a nice hot fire in the evening gets too strong. Debris in your chimney can catch fire if it’s not cleaned out. Those little places where a draft can sneak in can be very problematic on cold days. Repair or replace old weather stripping and find ways to block drafts coming in under doors. You can roll up a towel or small blanket to block drafts if necessary. 6. Check rain gutters on your house. Rain gutters can get clogged up with all kinds of things through the year. Autumn is a great time to clean them out, especially if any of your trees tend to dump leaves in your rain gutters in the fall. Nicely functioning rain gutters are a big help in making the rain that falls onto your house go where you want it to. 7. Consider installing rain barrels. While they aren’t allowed in all areas, rain barrels are a great way to catch and use some of the rain that falls on your home. Just make sure you have plans for if the rain barrel overflows, as it’s hard to have enough space to store all the water that falls during some storms. 8. Air out your home on warmer days. When the weather is nice, remember to open the windows and air out your home. It’s a really eco friendly way to freshen indoor air and brighten your home for the day. If you don’t already have indoor plants, get some. They add some nice color to your home during the cooler months and help clean the air inside your home. You can even grow some herbs indoors so you always have some fresh ones when you cook. 10. Clean out the clutter. Cleaning out the clutter is good to do any time of year, so why not do it now? 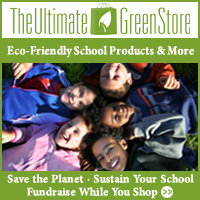 Take a look around and find all the stuff you don’t really need, and donate it to a good cause. These are just a few ideas, and I’d love to hear what you and your family do to have a more eco friendly autumn. Please share your ideas in the comments.